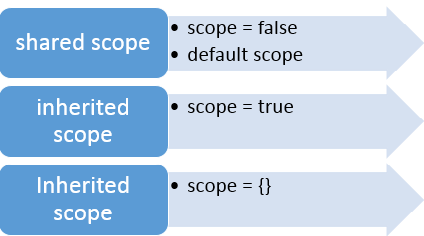 In this post we will learn about different kinds of scopes in AngularJS custom directives. First we’ll start with a high level introduction of directives and then focus on scopes. On the view, the directive can be used by separating the camel case name by using a dash, colon, underscore, or a combination of these. Pingback: Understanding scopes in AngularJS custom Directives | Dinesh Ram Kali.